The best tip I can offer you to help you succeed with your diet switch on your health is that you must switch your center of perception from “exclusion” of foods when you diet to the “inclusion” of the right foods. It’s a true fact that when most people try and lose weight they reduce the amount of food they are consuming and this ultimately kicks in the cravings. By now, most people very aware of the usual BAD suspects in their diet…you know, white bread, sugar, junk foods, fried foods, fast foods, candies, sugary drinks etc. Let’s just ignore them and focus on developing and exercising new positive habits and perceptions and integrate them into your diet. What we’re reaching for is a full tummy…one so full of nourishing stuff that there is absolutely no desire to eat the BAD stuff. An excellent way to achieve this is with a daily Health Shake. You get so much quality nutrition in one health shake and it fills your tummy full so that you are satisfied and won’t need as much food as you are presently consuming. When the quality of the food is increased, the quantity can be reduced which really “lightens the load”. If you add a Health Shake to your daily diet and make it a priority, you just need to add a couple of healthy meals in for the rest of your day. 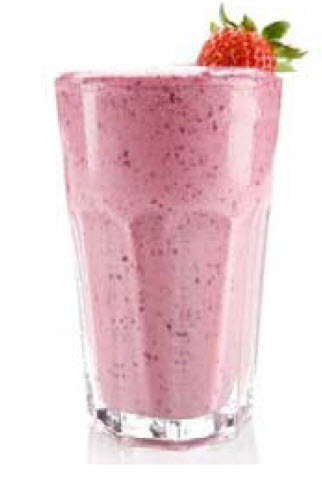 Another benefit of adding a Health Shake to your daily diet is the “bad stuff”, the cravings and addictions to certain foods are lessened if not eliminated altogether. You become the controller rather than being controlled. As you stop needing them, you can finally say to yourself “finally I am on the right track with my eating and therefor my health and weight”. Health Shakes can actually provide 50 percent of your daily nutrition which includes health-promoting protein, essential fatty acids, real food carbohydrate, water, fiber, vitamins, minerals and phytochemicals including live enzymes…all of these will be ideally used by the body. If you are not including Health Shakes in your diet, and you are looking to make change your present diet into a nutrient dense diet including a Health Shake will help maximize your micro-nutrient consumption. They make you feel fantastic but the best part is they help you to lose weight fast. If you do change nothing else towards getting healthier or losing excess fat weight, adding just this one thing…a Health Shake into your life every single day will produce magical results. There are so many variations of this shake that you can make such as adding ground flaxmeal and or chia seeds to give it that extra nutrient boost. The use of Swiss chard, kale and spinach or some sort of green leaf veggie (fresh or frozen) are excellent choices also. Once you get this ingrained in your life it is easy to implement. Eating a nutrient dense diet is imperative if you are to give your body all the advantages it needs to ward off cancer and other diseases such as diabetes and heart problems. What’s the use of having “senior years” if you can’t enjoy them? It’s about the quality of life now and in the future.